Visiting Los Cabos is synonymous of wonderful landscapes, beautiful beaches and a vibrant nightlife to enjoy with friends. 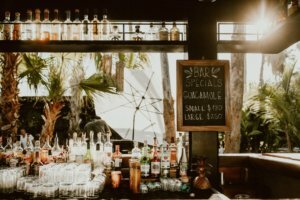 The destination offers bars and pubs that range from legendary cantinas to fancy bars that serve Mexico’s most famous drinks: tequila and mezcal. 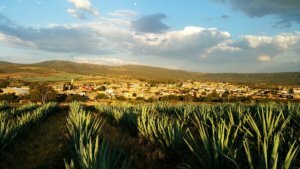 The origin of these ancestral agave drinks date back to 250 A.D. The aztecs produced pulque, a fermented beverage for ceremonies and rituals; after the Spanish invasion, the agave distillation began, giving birth to tequila and mezcal. While all tequila is mezcal, not all mezcal is tequila. The difference comes from the agave plant, with about 290 different species of agave. Tequila is specifically made from blue agave and takes its name from the Tequila Valley. It is produced by steaming the agave inside ovens before being distilled at least a couple of times in copper pots. The mezcal is still made the same way as it was two hundred years ago, with basically any type of agave, cooked inside earthen pits filled with wood and charcoal before being distilled, the spirit is usually smokier, richer and sweeter than tequila. The Cape resort offers the only rooftop bar and lounge with jaw-dropping vistas of downtown Cabo San Lucas and El Arco as well as breathtaking sunsets. The sky garden and flowing waters feature tropical chic furnishing. The menu offers handcrafted cocktails and artisanal beers from the region, a herbal-infused mezcal with pineapple and grapefruit is their signature drink. The bar and restaurant at the Acre, surrounded by sumptuous spaces and abundant greenery offer an innovative cocktail program in a refined and serene atmosphere. 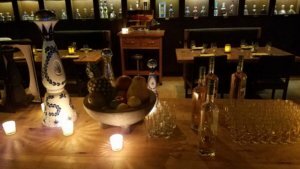 A tasting room showcases rare mezcals which are the menu’s star ingredient. Among my favorites: Perla de la Baja with mezcal, tequila, pineapple, lime, passion fruit, verbena honey and Angostura bitters and Beso de Katrina with mezcal, lime, pineapple, hibiscus and oregano. Agua by Larbi at the One &Only Palmilla, is the place for a romantic candlelit dinner, the bar overlooks the infinity pool and the beautiful sea. The Mexican tableside -made specialties and agave spirits along with the artful touches of Mexican art create an exclusive atmosphere at the palapa style bar, ideal for a refreshing drink at sunset. 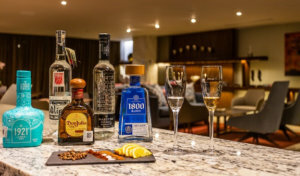 La Biblioteca de Tequila boasts more than 350 types of tequila, mezcal and agave spirits and offers authentic Mexican delights balancing tradition with a modern twist, in a relaxed and cozy ambiance with tequila barrels. An outdoor terrace with El Arco and the marina as a backdrop, perfect to enjoy the breathtaking sunsets. At Grand Velas Los Cabos, the tasting room named Tequila & Mezcal includes 140 varieties; in this area -with a warm contemporary decoration and a stunning view of the sea from the terrace- you will learn not only to taste these drinks correctly, but also about their history, which enriches the experience even more. The resort also boasts the largest wine selection in the region and offers tastings of Mexican wines, as well as a three-day certification course led by master sommelier Don Pedro Poncelis Brambila. If you have visited any of these places, share your experience with us!